Afghans are seeking asylum in Denmark because of constant war in Afghanistan. This ongoing situation, which began in 1979, has made Denmark reluctant to take in more Afghans as war refugees. There are also other Muslim refugees fleeing more recent situations in Iraq and Syria, so fewer Afghans are being given asylum in Europe than they were in previous years. The vast majority of the Afghans live in Afghanistan, but there is also a large diaspora that has gone to the West, including Copenhagen, Denmark. Living in a land that upholds warlike behavior does not prepare Afghans for life in peaceful Denmark. 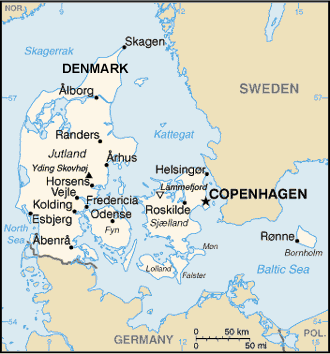 The Danes highly value the peace that they have enjoyed since the end of WWII. This peace has helped make Denmark a prosperous nation, and there are many that suspect that people coming from a war situation will bring warlike behavior with them. The Afghans who flee to Europe usually have some money and education, but because of their lack of local language skills, they are often underemployed. The more fortunate among them are able to find professional jobs. The majority of Afghans in Denmark are Sunni Muslims, though there are Shi'ite Muslims among the Hazaras among them. Islam came to them as a great liberating and unifying force, freeing them from the harsh excesses of Buddhism and Hinduism. For this reason, their underlying faith and steadfast devotion to Islam are very strong. In recent years, there have been some Muslim refugees in Europe starting fellowships for Muslim background believers (MBBs). Most Afghans who have gone to Denmark are looking for ways to make an honest living without the hindrance of war and destruction. They usually arrive with some money and education, but they need language skills to have job opportunities. * Ask God to grant wisdom and favor to mission agencies that are focusing on Muslim peoples in Denmark. * Ask God to encourage and protect the small number of Afghan believers. Pray that they may display the fruit of the Holy Spirit in such a way that other Muslims in Europe will be drawn to the Savior. 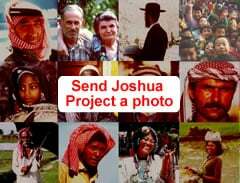 * Ask the Lord to raise up strong indigenous churches among the Afghans in Denmark. http://refugees.dk/en/focus/2015/november/afghans-and-iraqis-are-more-often-rejected-in-denmark/View Afghani, general in all countries.